If you've bought your season-license for Lagan from Relax Fishing Sweden, you must collect your card at Laxahuset, Gröningen as soon as possible. 1 pm-5 pm (during fishing season). Please, call us or email us some day in advance before collecting your card to make sure Laxahuset is manned during business hours, +46(0)725 77 01 96. Off-season, you must make an appointment in advance, because the office isn't manned then. Same hours as mentioned above apply. Can't make it during our business hours? Buy your license from one of our resellers instead. We do NOT send licenses by post! During summer vacation and other holidays when the office is closed, you may use your voucher as a season-license until we open. 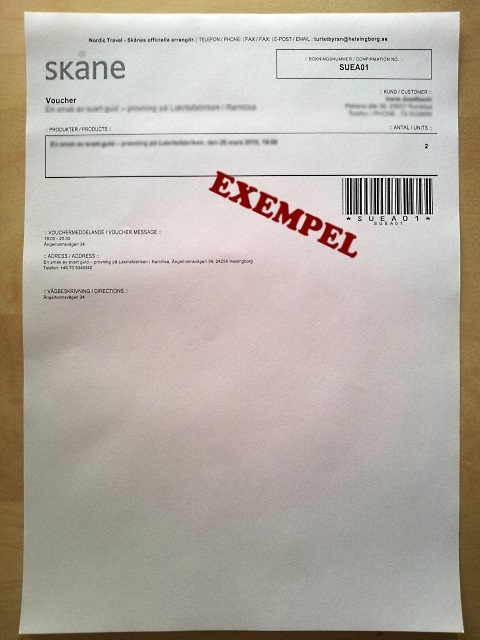 Printed receipt/voucher of your purchase. These two are mandatory to collect your purchased season-license. 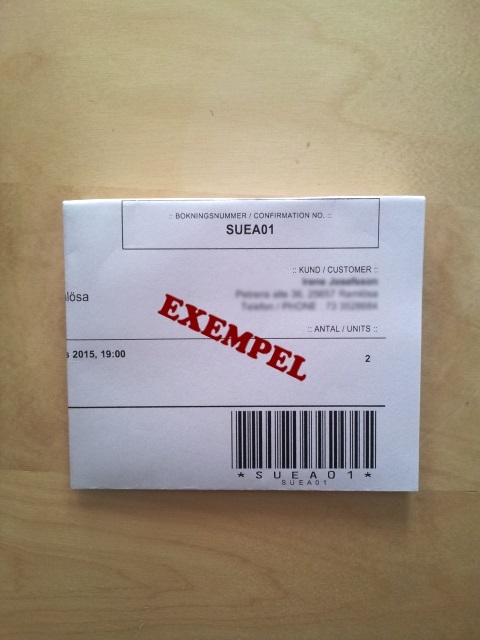 You can not print the voucher at Laxahuset. To buy the combined season-license for Lagan and Nissan, contact RFS. Oder Relax Fishing Sweden info@relaxfishingsweden.com. OBS! We do not sell any licenses at Laxahuset! 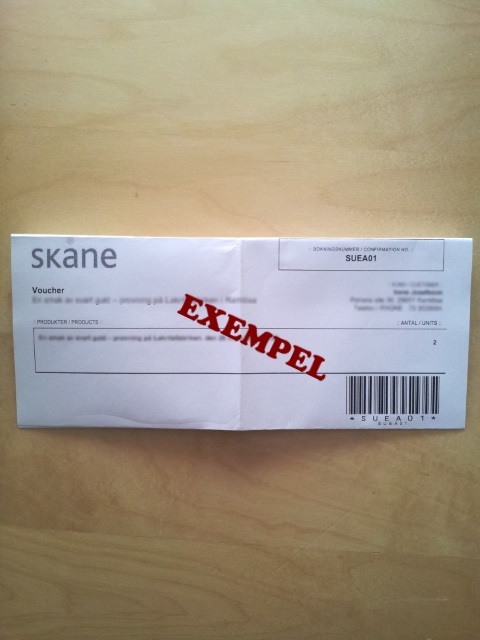 You can only collect your season-license for Lagan that you've already bought via Relax Fishing Sweden. The receipt/voucher you receive when paying, you print it out on white paper and use as a fishing license. You can not exchange the receipt/voucher for a "normal fishing license". Remember to check the water flow before buying a 1-day- or 3-day fishing license! The upper part of an A4 page contains information that you should fold so that your name and barcode is visible in the plastic pocket you wear on your arm, as instructed in the fishing rules. If there have been several licenses purchased in one order, print equal as many receipts/vouchers, so that everyone who paid carry a fishing license. Be prepared to show a valid fishing license along with a valid ID. How do I fold the voucher? 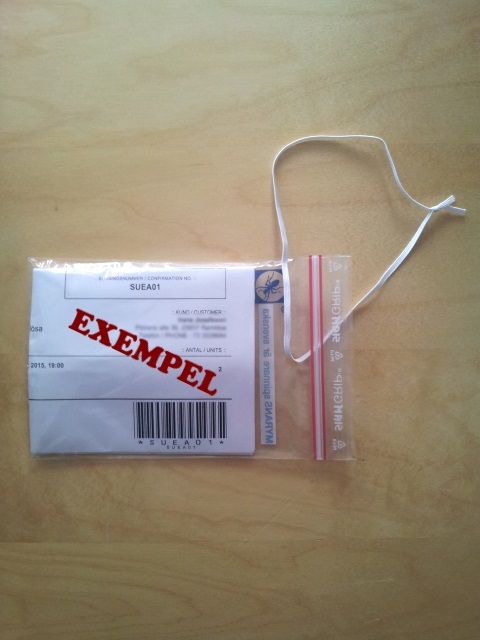 Plastic pockets can be obtained from any of our resellers.